"Here's a song for the landlord. I am sorry for the holes in the wall"
Sorry, no matches on eBay for "It's All Over But Crying Ink Spots". 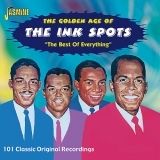 Sorry, no matches on iTunes for "It's All Over But Crying Ink Spots".